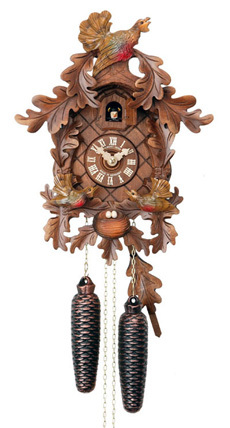 Cuckoo clock historic Bahnhausli style (Track walker house) by Rombach & Haas featuring musical dancers, and exceptional craft-work. 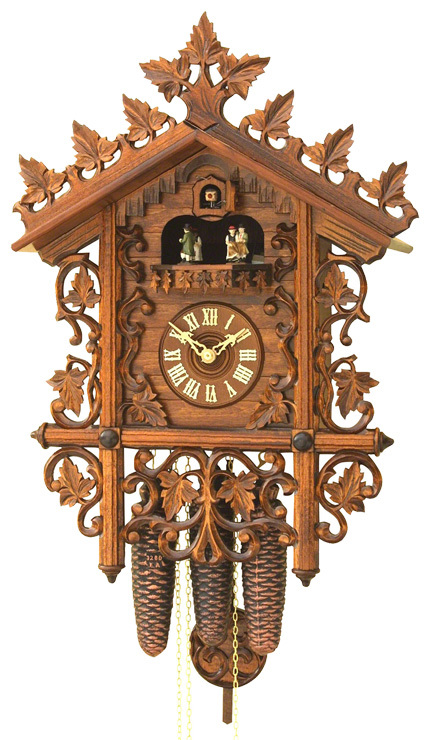 This 8 day clock ( wind only once a week) has a high quality swiss 36-tones music box ( instead of the standard 22 tone) and plays Edelweis and Happy wanderer. 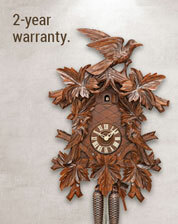 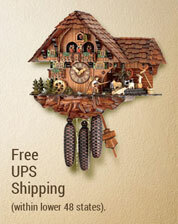 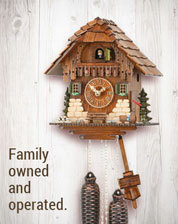 Clock features wooden hands, dial, cuckoo bird and exeptional carving. 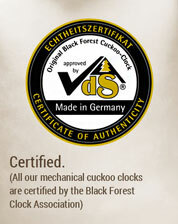 Clock has nightshutoff to silence the clock.